The cost of not developing some understanding of what impacts your finances is high. Credit is much more accessible than ever before. Corporate pension plans and job security are a thing of the past. An explosion of financial advisors and the introduction of technology and new products are making the world of personal finance more complex. Unfortunately, an annual government awareness program and a few tweets here and there is not going to stem this tide. It’s up to you to take charge. Technical knowledge is the ability to make a budget so you can plan to pay off debt for example. It’s the understanding of key concepts like how compound interest works and whether you should invest in an RRSP or a TFSA. Most of us already have some technical knowledge and if we don’t it’s something that’s easy to attain. There is no shortage of free information available to help you learn about the different personal financial topics that exist. There is the Financial Consumer Agency of Canada online library of resources on how to take control of your money, pay off debt, and know your rights as a consumer right available on their website. There is a plethora of financial literacy books, personal finance bloggers, YouTube videos, podcasts and web tutorials out there. But while it is crucial to understand the technical side of personal finance, it’s even more critical to have self-knowledge, which is the ability to think critically, without emotion, before making a purchase. Given our personal debt loads, this is an area of financial literacy that needs to be improved, as we often buy before we think, especially with big-ticket purchases like houses and cars. In addition to taking emotion out of the picture on a big purchase, you also need to have knowledge of the other guy. In other words, you need to know what’s in it for the salesman or advisor. Consider what happens when you go to the bank. How many times have you been to a teller only to have them “interest” you in investing the cash sitting in your chequing account or get a new credit card? What about when you are trying to buy a home and end up qualifying for a mortgage that is six times your annual income? When you think about the seller or the financial advisor’s motivation, you’re more likely to question before you buy – especially on emotionally charged purchases like cars and homes. Research the technical knowledge you need to understand the contract by asking questions like how many minutes are included with the plan, how much data do I get, what are the payments terms and other details. Understand WHY you want to buy that particular phone. Can you afford to buy it outright or will you need to go on an expensive payment plan? Does it have to be a brand new $2,000 Apple iPhone or are you willing to go for something less costly? Ask yourself if this is an emotional decision or a rational one. Recognize the seller’s motivation. Is he going to make more money if you buy the iPhone or an extra accessory? Is he pushing you towards the latest gadget or is he willing to help you find a phone within your budget? Think and ask questions because his motivation affects the advice he gives and ultimately the amount you will spend. So while promoting financial knowledge is a good idea, there’s only so much that the government, or a new budgeting spreadsheet, will do for your finances and your literacy. You need to take charge yourself. You need to learn how to engage in critical self-evaluation. 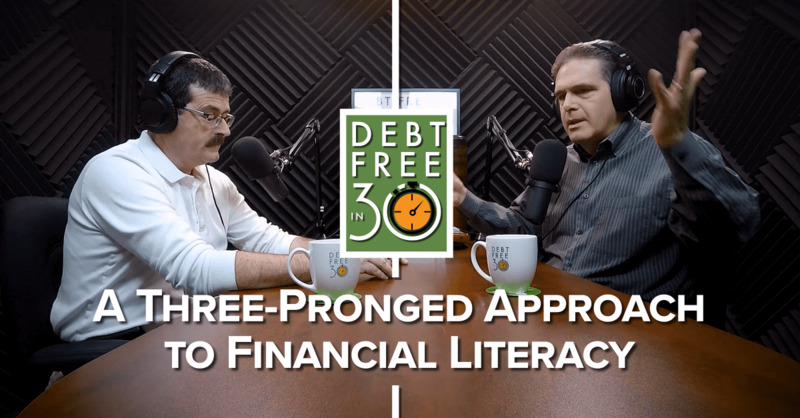 For more on how to improve your financial literacy and critical thinking skills, tune in to today’s podcast or read the complete transcript below. Doug Hoyes: Every year the Federal Government, through the Financial Consumer Agency of Canada, proclaims November to be Financial Literacy Month. Is there any point in the Federal Government promoting Financial Literacy Month? Does it accomplish anything? This year’s theme is Invest in your Financial Well-being. 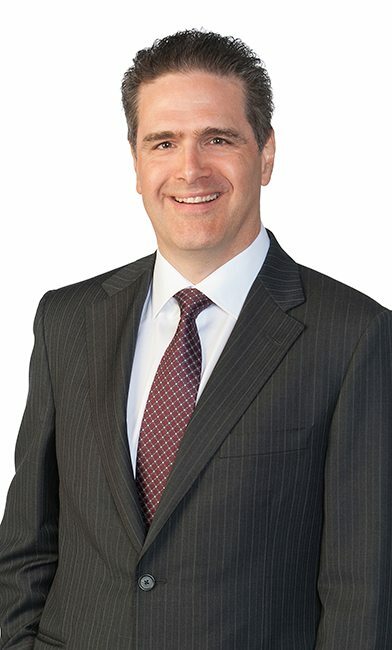 The government wants to encourage Canadians to take control of their finances and reduce financial stress by making a budget, having a savings and debt reduction plan, and understanding their financial rights and responsibilities. Sounds good, right? The first Financial Literacy Month in Canada was in 2011, so this year marks the eighth official Financial Literacy Month, and since this is Season Number 5 of this podcast, that means I’ve already done four shows over the last four years on financial literacy education in Canada. On my first show on the subject – Episode 9 back in November 2014 – my guest was Jane Rooney, Canada’s financial literacy leader then and now. In 2015 on show number 62 my guest was Dave Mitchell, a retired high school teacher, with his thoughts on how financial literacy can be taught in school. And in 2016 on show number 116 my guest was Prakash Amarasooriya, a young man heavily involved in his community with lots of ideas to share. And last year, on show number 166 I decided not to have any guests and I just went off on a 15-minute rant explaining why I didn’t think the government’s approach to financial literacy will work. And here we are in 2018, and we are having the same conversation yet again. Has anything changed? Do we even have a financial literacy problem, and if we do what’s the solution? Obviously the government believes we have a financial literacy problem or else they wouldn’t be spending a lot of money on Financial Literacy Month. The conventional wisdom is that we have a big financial literacy problem in Canada because debt levels are high and we tend to over-concentrate our assets in real estate, which is very dangerous. But I can make the argument that we’re doing fine. The economy seems to be doing well, bankruptcy rates are low, house prices are still decent, so maybe everything is fine. But I get it: Household debt is near record high levels and saving rates are at record lows, and that indicates that we aren’t good with money. If two of the stated objectives of Financial Literacy Month are to encourage Canadians to pay off debt and save money, I’d say that it doesn’t appear to be working. So, to avoid me going off on another 15-minute rant, I have asked Ted Michalos to join me to keep the discussion on track. So, Ted, the economy is doing well but we have record levels of debt, so what’s your opinion? Are we financially literate, or not? Ted Michalos: I don’t think debt levels have a lot to do with it as a measure of financial literacy. I go out and I buy an expensive house and I put a mortgage for two-thirds or three-quarters of the value, does that mean I’m financially [illiterate] or I have a lot of debt? I mean, the two things don’t necessarily connect. It’s a bad connection. Doug Hoyes: Okay, so before we get off the rails here, then, let’s start with the basic question. Let’s start with a definition: What is financial literacy? What are we talking about and how do you define it? Ted Michalos: It’s your ability to make reasonable financial decisions, so it’s a combination of knowledge and action. Doug Hoyes: Okay, I think there’s more to it than that, but I think that’s a good start. So let’s cover the basics of that first. So if financial knowledge is important, why is it important? I mean I can go on the Internet and I can use the Google and I can find everything I need to know, so is it really necessary to understand the difference between a TFSA and an RSP, you know, can’t I just Google what I need to know when I know it? Is it really that important? Ted Michalos: See, I knew you were going to ask me that question because I’ve got it right here in the script. Doug Hoyes: We’ve got a script here, okay. Ted Michalos: There are some basics about this stuff, five reasons why being financially literate is important now. So a hundred years ago every transaction you did was with cash, so cash is pretty easy to understand; you either have it or you don’t. If you don’t have it, you can’t spend it and you can’t get into too much trouble. Today nobody has cash. In fact, you know, my kids’ Monopoly set now comes with a credit card instead of paper money and it just drives me nuts. Doug Hoyes: Is that true? Wow. Ted Michalos: So people aren’t being taught to use cash anymore and the psychology behind a credit card or credit is significantly different. Ted Michalos: You just don’t feel like it’s happening. Doug Hoyes: And as a result you can get into a whole lot more money. Okay, so that’s a good reason why it’s important to be financial literate. Reason number two? Ted Michalos: Yeah, we suffer the results of our decisions more than we ever have in the past, so in the past I could be a poor money manager throughout my life and I retire, I get a company pension and I’d be okay. Well, there are very few company pensions anymore, I mean we contribute to our employees RRSPs and hope that they’ll look after themselves, and we’re pretty typical. So now if I’m a poor money manager throughout my life I could end up just on government pensions. Ted Michalos: And everything was okay. Doug Hoyes: Yeah, it was all good back then. So okay, we suffer the consequences of our decisions a lot more, so therefore it’s important to make good decisions. Ted Michalos: To make better decisions. Doug Hoyes: Okay, that makes sense. Ted Michalos: Okay, so the third reason: Finances are a lot more complex than they used to be. So remember the first point was you had cash, you spent it, it was gone and you couldn’t spend any more. Well now you’ve got access to so many different credit tools, you’ve got so many different saving vehicles. Now, there’s no way that any one person can be fully knowledgeable on any of this stuff anymore, particularly someone that’s- you know, that’s not what they do for a living. Doug Hoyes: Yeah, and so as a result I can much more easily make perhaps not the optimal decision, I put it in this and that and so on. Ted Michalos: Well, and you’re influenced by marketing more than you ever were in the past, so this is the newest thing, it must be great, you go out and you do it. Doug Hoyes: Yeah, and back in the days of cash, I took my cash and I bought my stuff. Right, there wasn’t a whole lot of marketing at the general store. Ted Michalos: And the extent of your bank accounts was I put it in a savings account so I could buy the next big thing. Doug Hoyes: And that was probably back when they actually paid interest in a savings account, so those are the good old days. So okay, so those are three reasons why being financially literate is important. Ted Michalos: So number four, let’s talk about technology. So it used to be if you wanted to have a bank account you had to actually go into the bank. So now if I want to deposit my pay check … My pay check is automatically deposited like most people, but if it wasn’t I’d take a picture on my phone and it’s in the bank. So I don’t go to the branch anymore, I don’t necessarily fully understand the whole system anymore, it’s just all automated. Doug Hoyes: Well, and I’m not going to mention what bank I’m with because I think they’re all the same, but I’m now getting this message popping up saying, we need to enable [two factor authentication], you know, what’s your phone number, what’s your email, please click it here. Ted Michalos: Text me here, phone me here. Doug Hoyes: Yeah, and so I’m thinking, okay, well if I lose my phone or if my phone’s in the car and I’m trying to make a transaction, what, I can’t get into my own bank account now? And I’m reasonably sophisticated. Doug Hoyes: I have a kid who can show me how to turn on my phone, so that’s good, but what if I’m a senior and I don’t have a smartphone and I don’t know how to do all this stuff, ew? You know, so I think that technology is great, but it also makes things a little more difficult, so it’s one more thing to learn about. Ted Michalos: Right. And the last [person] is that there’s just so many people doing it. Let’s just use the bank as an example. It used to be you’d go into the bank and you’d see the teller, you’d know the teller or the teller would know you, and they’d ask you about your kids. I actually still get this level of service at my bank. Ted Michalos: Because they know me, and my kids are cute. But most people don’t know who they’re talking to anymore, there’s no relationship anymore, and they do that on purpose, there’s a selling experience when you need a new service but beyond that it’s, you know, you’re just a number in the machine. Doug Hoyes: Okay, so that’s five good arguments why it would be good to have more financial knowledge, be more financially literate, but, you know, I also made the point at the start that after eight years the government’s approach to financial literacy doesn’t seem to be working, so is there any point in the government continuing to lead the charge on improving financial literacy? And before you answer the question as to whether government lectures are the solution, because I think anyone who is listening to this podcast knows what your answer would be, I’m asking a rhetorical question. Let me ask you a real question. So you mentioned that you’ve got, you know, three cute daughters, they’re all like little kids; they’re not teenagers yet. Kids learn through trial and error, reading, asking around, you know, watching their parents. Lectures from teachers are probably not the best way, in most cases, to learn real-life skills or to get people to take action, so should the government continue to fund Financial Literacy Month? Is there any point? Ted Michalos: Well, let’s start with a really short answer. Should the government teach me how to cook dinner? Doug Hoyes: That’s a good question. Ted Michalos: I don’t think the government can be any more effective at teaching financial literacy than it can at teaching my kid how to make spaghetti sauce. I think it’s one of those skills that at that high level what the government is doing, they’re providing- it’s a photo op for the government, this is something we’re doing, it sounds like motherhood, we’re doing something good. Doug Hoyes: You’re saying it’s political? Is that what you’re saying? You’re saying the government is doing something political to help them get re-elected. Ted Michalos: The utility of Financial Literacy Month is questionable, in my opinion. Doug Hoyes: Questionable, there you go. So there’s your condemnation of it. Doug Hoyes: Okay, so we can all agree that we can be better at managing our money, and we can all agree that government programs are probably not the best path to freedom. Doug Hoyes: So what can we do? So how can we as individuals be more literate about managing our money? Because the whole point of this show is to give practical advice to people, not to be speaking in fancy words and code that doesn’t mean anything. So at the start of the show you said that financial literacy is knowledge plus action, knowing what to do and how to do it. Now, I said I think there’s more to it than that, so the Doug Hoyes three-pronged approach to financial literacy here – and I guess I should patent that phrase – is there are three things: Technical knowledge is important; self-knowledge and knowledge of the other guy would be the three prongs that I would talk about. So, I think to consider yourself to be financially literate you need the technical knowledge. That makes sense. Doug Hoyes: But also those other two things. So you agree that technical knowledge is important; that was how you started off. So to complete the discussion, give me some examples of what we are talking about when we say you need technical knowledge? Ted Michalos: Okay. So, first and foremost – and it’s not the order that we’ve got them in the script here – the most important thing you’ve got to understand is the concept of interest. Interest is simply how much it costs for other people to use money, so it’s renting money from somebody else. When you put money in a savings account the bank pays you interest because they’re using your money someplace else. When you borrow money from a bank on a credit card, a loan, a line of credit, anything, you are paying interest because you are using somebody else’s money. Understanding interest and compounding interest is the single most important thing, and very few people actually get that. Following from that, then, you need to be able to keep track, there’s an accountability issue, so how do you make a budget; how do you keep track of what you’re earning and what you’re spending? It’s just ins and outs. Don’t let the accounting terms scare you or intimidate you, but if you don’t actually keep track of how you are using your money how are you going to change the way you use it? And third, you need to understand some key differences to some of the products that are out there. So for example, right now you can get a tax-free savings account, TFSA. How is that different from an RRSP? So the jargon is quite intimidating for a lot of people and we should set a list of specific jargon, specific terms you should be familiar enough with, at least to understand what they are to see if you’d want them. Doug Hoyes: And I think what you’re describing is how most people would think of financial literacy. Yeah, okay, I need to understand how interest rates work and what compounding is and all the rest of it. And that’s the focus of the government’s website, when you look at it, you know, all of these things, but, you know, is it important for me to know all of those things, or is it important to know them when I need to know them? And most importantly, is the government doing the right thing on their website saying, okay, here’s all the basics, that’s what we’re going to explain? Is that really what the government should be doing? Ted Michalos: The role for the government in education is done through the schools and trying to educate the general public with a website or an ad campaign that lasts for a month every year, it’s ineffective is my opinion, it doesn’t make any sense. Doug Hoyes: I mean my opinion is there’s tons of resources out there. Ted Michalos: If you want to. Doug Hoyes: If you want to, yeah, I mean it’s not like a hundred years ago where if I couldn’t make it to the library I couldn’t learn anything. Now we’ve got all the knowledge of humanity on my phone, so I mean there’s tons of resources out there: FCAC has the Financial Literacy section on their website. Obviously there are Web articles, YouTube, tons of great personal finance books out there. There really is no excuse for not having access to the information, but I guess you hit the key point: you actually have to want to do it. Ted Michalos: And it’s got to be in a digestible format for you. So I could do a Google search right now on TFSAs and I could get one report from a technical advisor that will tell me all the minutiae of it, the actual tax laws associated with it, or I could get one from a bank saying these are the reasons why you should invest the money in this way and how it will grow. So there’s more to it than just the technical knowledge; you’ve got to be able to interpret it and appreciate it at your own level of expertise, and that’s probably where the education role comes in. Doug Hoyes: Yeah, but even searching around on YouTube, well okay I can find it, a two-minute video explaining the basics of a TFSA, or I can find a 30-minute lecture, so the resources are probably out there but you have to go and look for them. Ted Michalos: Yeah, and you have to use them. Doug Hoyes: And you have to use them. So okay, you know, my opinion is there’s no shortage of books, websites, blogs, apps, publications on personal financial topics. Ted Michalos: Did you mention books? Doug Hoyes: Yeah, you know books. We’ll talk books, I’ve got some suggestions. I think more knowledge is good, but I don’t think that’s the biggest problem when it comes to why financial literacy education is failing. I think the much bigger problem, and what’s much more important is actually understanding yourself, you know some self-knowledge. So I mean you mentioned my book so let’s talk about it, you know my book, “Straight Talk on Your Money”. I talk about how we don’t make rational decisions, we think we make all our decisions by gathering the facts in making a rational decision, but, you know, my opinion is facts don’t matter when it comes to making decisions. Ted Michalos: Whatever feels good or feels right. Doug Hoyes: Whatever feels good; it’s based on emotion, exactly right. So now I mean people are listening to this going, well of course facts matter. Well yeah, facts matter to the outcome. If you jump off a two-storey building you’re going to break your leg, that’s just a fact, so the outcome will be determined by the facts, but we don’t consider the facts when we make a decision, we consider them after the fact to justify our decision. So let me give you some examples. Buying a house: I mean why are house prices so high? Well, you know, we want to own and so instead of renting I’m owning, I want to keep up with the Joneses, so even the renting may make more financial sense. That’s what we do. Cars: Now you’re a car guy, you understand cars. Why is it that people buy cars? Is it because they analyze the fuel economy and the safety rating and that’s how they come up with the best car to buy, or is it something other than that in most cases? Ted Michalos: Oh damn, the single most important reason for most people is the colour. I like the way it looks. Ted Michalos: I like the way it makes me feel. Ted Michalos: And the safety rating is high. Doug Hoyes: And the safety rating is high, and all the rest of it. Now those are all, you know, big dollar examples, but I think it’s the same for every kind of decision we make, so let’s talk about the book here: “Straight Talk on Your Money”. Page 8 I put a little bookmark in here, because I ask the question about toothpaste, which is not a big dollar decision, and I asked the question: So what brand of toothpaste do you currently use? How long have you been using it? Why did you start using that brand, and does that brand meet your criteria for the best toothpaste? So I guess if we were informed consumers we’d make a chart and we’d say well okay, cavity prevention, whitening, breath freshening, cost, these are all the reasons that we should select a toothpaste, and yet in actual fact why do you use the toothpaste you use? Well, because I’ve always used it. That’s the one my parents used and now I use it, or well when I got married my spouse used that kind so I just switched to that kind. I mean maybe it was because it was on sale. Doug Hoyes: But is it a rational decision that we picked the toothpaste? No, it’s probably just entirely emotion. So if that’s how we’re making all these decisions, then that’s you know … Well, I’ve got more examples. There was the Caltech wine-tasting study. They took a bunch of the same bottle of wine and on some of them they put a higher price than others, and they asked people, hey, which one tastes better? Well, you know what happened. Doug Hoyes: The higher-priced wines scored higher in taste even though they were identical. On Podcast No. 199 I had Robert Gignac on and we talked about the Diderot Effect, so I just bought a bigger house and so … or maybe a newer house, something a little better, and I look at it and oh, I can’t have my old couch anymore. Ted Michalos: You need stuff. Doug Hoyes: I need better stuff; even though I was perfectly happy with that stuff last week, now I’m not happy with it again. Again, it’s not a rational thing, it’s an emotional thing. So let’s go to the practical advice section of the show because otherwise I’m just going to keep ranting on and on in here. How can someone recognize that they’re making emotional decisions and kind of pull back and make it a little bit more rational? Ted Michalos: Okay. So you probably won’t recognize that you’re making an emotionally-based decision, so what we want you to do is just ask yourself some simple questions before you do something. Doug Hoyes: Yeah, because you’re in a bubble. Doug Hoyes: And you can’t tell you’re in a bubble when you’re in a bubble. So okay, so what kind of questions should you be asking yourself? Ted Michalos: So probably the first one: Do you need it? So whatever this thing is you’re thinking about purchasing, buying, renting, do you actually need it? So are you getting it to fulfill a specific need, or are you getting it because I just saw an ad on TV and it looked pretty cool, or the model looked nice, or whatever the heck it was, right? The second question then, okay, I’ve decided that I need it – can I afford it? So this one, nobody ever thinks of that. Sometimes they might think, can I afford the monthly payment, the weekly payment, can I actually afford to buy this thing that I’m buying? And I would add in here: Do I need it now? So do I need it? Do I need it now? Can I afford it? Because that’s kind of a sequence of events. I do need it but I don’t need it today so it doesn’t matter if I can afford it. Doug Hoyes: Yeah, and if I need it, or want it, and don’t have the cash for it today then obviously I’m going to have to finance it if I want it today, which brings a whole another component to it. Ted Michalos: Or you’re going to find a substitute. So that’s the next one. So, do I need it? Can I afford it? Is there an alternative? And sometimes the alternative, I mean it’s things you don’t think of. I’m not suggesting everybody go out and start doing Uber instead of buying a car or something, but there always are alternatives that you should at least take a second to consider. Doug Hoyes: Well, instead of the name brand toothpaste that I’ve always been buying is there some cheaper version? Ted Michalos: Buy whatever one’s on sale this week. People won’t do that. Doug Hoyes: Well, and maybe there’s valid reasons for not doing that, but again it’s have you thought about it, is really what you’re saying. Ted Michalos: Right. And so the last bullet really would be: Do you need to make this decision today? Is there any urgency to what you’re doing? So lots of times, particularly with big ticket items, people are either pressured into it because of the sales, or they pressure themselves into it: I want it now, I need it now, I’ve got to have it now. Almost always that’s not true. Put it off for a couple of days and maybe put it off for a couple of weeks, maybe a couple of months. Doug Hoyes: So waiting a few days, that’s makes perfect sense, because, you know, that’s a good one. I think that brings us then to the final element of my three prongs of financial literacy, which is understanding the other guy. So any time you buy something there’s you and then there’s the person who is selling it to you. Any financial transaction there’s two parties to it, and of course that person has their own biases, their own objectives, and so on. And on the surface you think, well that’s pretty good, you know, they’re obviously looking out for me. Well no, actually they earn a commission for selling you the mutual fund; they don’t earn anything if it stays there in the savings account. And I talked about this on Podcast No. 213 with Sandy Martin where she talked about the compensation matrix. The bank person, if they see that you’ve got some money in your bank account, will never suggest, hey, why don’t you make a payment against your mortgage and pay it down quicker? Why don’t you pay down your line of credit? No, it’s always something else where they earn a greater rate of return. So sometimes waiting is the answer. Obviously the real answer is to think about what the other guy’s motivation is and what they’re saying. So what’s your practical advice to help someone understand the motivation of the other guy? Ted Michalos: Okay, so here’s a technical term for everybody. You’ve probably heard it before: caveat emptor. Doug Hoyes: Ah yes, Latin. Ted Michalos: “Let the buyer beware.” So, nobody is going to assume responsibility for you except for you. At the end of the day it’s your money, you’re the guy who has got to make the decision, the lady that’s got to make the decision, the person that’s making the decision. Doug Hoyes: You’re the boss. Ted Michalos: You. The most important person to them is them. Doug Hoyes: And that’s really what we’re talking about here, understanding that the person on the other side of the transaction has an agenda. Well, what would their agenda possibly be? The car salesperson, it’s easy to understand. The bank person, it’s a little trickier. Ted Michalos: Well the car salesperson, you bring that one up. The car salesman is not actually selling you a car, the car salesman is selling you the decision to buy the car, and then you sit down with the finance manager who sells you the car and six other products at the same time that you weren’t even thinking about. Ted Michalos: And you’ve got to know what their agenda is. Doug Hoyes: Well, and as I said in chapter 3 of “Straight Talk on Your money”, nobody cares about your money as much as you do, and that’s really the point you’re making. Doug Hoyes: Well, I mean experts are buyers, bank tellers get paid a commission for what they sell you, and again Sandy Martin talked about the compensation matrix and how they are compensated, so, you know, you buy the mutual fund and they get a commission, you pay down debt, they don’t. Doug Hoyes: -what advice would you give me on buying this cell phone?” So we’ve got the three prongs of financial literacy. So technical knowledge: What kind of things would you be telling them to be aware of? Ted Michalos: So you need to understand not only the features you’re looking for on the phone, but the features you’re looking for in the plan, the service plan for the phone. So the technical knowledge is how does the device work and how am I going to use that device? So that makes sense. So with the phone it’s I needed to have a decent camera because I like to take pictures of the dogs when they’re running in the yard. I needed to have a built-in calendar function because I use it like my personal planner. The service plan I never check so I don’t care about those minutes, but I’m talking to my kids all the time on the phone so I need lots and lots of minutes that I can share between plans, that sort of thing. Ted Michalos: That’s right, so you need to understand the technicalities of the device or the service plan, whatever you’re getting too. Ted Michalos: You’ve got to do your homework ahead of time before you get there. This is part of knowing about the device, and again your point about knowing about yourself. You need to know what you want before you go shopping, or they’re going to tell you what you want, which is whatever they want to sell. Doug Hoyes: Well, and that’s the second prong is this self-knowledge, so understanding why it is that I want to buy that $1,000 new iPhone as opposed to something else that probably also takes pictures and sends texts. 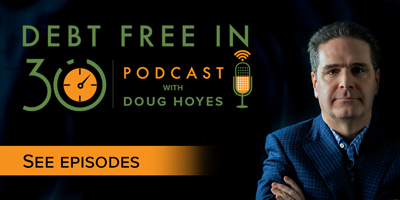 Doug Hoyes: It’s a self-knowledge thing, so understanding what you yourself want. Okay, so the third prong, then, is understanding what the other guy’s motivation is, so the guy at the mall who is selling me this phone, I shouldn’t be taking his advice on what the best phone is, or how should I be approaching that? Ted Michalos: Well, again you’ve got to be skeptical, you’ve got to assume that he’s got an agenda and that he has to sell so many phones a day if he wants to keep his job, that’s how he gets paid. On the other hand you don’t have to assume that he’s evil, like he’s not going to put you in something that’s completely worthless, or if you get the vibe that that’s what’s happening you need to go someplace else. I mean there’s an inherent level of assumed trust in any kind of sales transaction. You don’t know what the salesman knows. You know what you need and hopefully they can find the right product for you, but at the end of the day they’re going to find a product for you, something for you to buy, whether or not it’s what you need or not. Doug Hoyes: Yeah, and I think that’s a good way of putting it. You shouldn’t assume that they’re evil because they’re not, they’re doing a job, I mean that’s what they’re there for. Ted Michalos: That’s how they make their living. Doug Hoyes: But by the same token, you shouldn’t assume that they’re perfectly aligned with you too. They might need to get rid of a certain brand of phone this month because they’ve got too many of them, so that’s the one that they’re pushing. Doug Hoyes: No, that’s definitely a fantasy. Ted Michalos: -Santa Claus doesn’t work in a real world. I lost you with that one, didn’t I? Doug Hoyes: Uh-oh, uh-oh, we’re not going to trash Santa Claus in this podcast, there are certain lines we just cannot go over. So okay, big picture, then, I think what you’re saying, if I may put words in your mouth, is you’re not a huge fan of the government being the lead dog on how to improve our financial literacy. Ted Michalos: Yes, I see it for what it is, and not very useful. Doug Hoyes: Okay. And so your advice to the average person listening to us today, then, who wants to be more financially literate is what? Ted Michalos: You have a responsibility to educate yourself, and there are lots of free resources available, and, as we mentioned earlier, you could Google any one of these topics. First and foremost, understand the concept of interest, compounding interest, and then second, understand that you need to appreciate what it is that you need, what you’re shopping for, before you actually go out and spend any money. Doug Hoyes: Yeah, and compounding works both ways. If you’ve got money that’s in savings it’s compounding, it grows, and if you’ve got debt, well it goes the other way, so. Doug Hoyes: Okay, well I think that’s great advice and that’s why I say there’s three prongs to it. You’ve got to have the technical knowledge, tons of resources out there, feel free to use them – lots of them are free or have very low cost, but understand why you’re making the decisions you are and put yourselves in the shoes of the other guy so that you understand what’s motivating them. Ted Michalos: It’s not in anybody’s best interest, except for yours, to actually increase your financial literacy. It’s not in the bank’s best interest for you to understand how this stuff works, it’s certainly not in the retailer’s or seller’s interests for you to understand how all this stuff works. It’s only in your interest because you’re protecting yourself now and yourself for the future. Ted Michalos: Simple as that. I mean it’s up to you, your success is up to you, it’s not up to the government, it’s not up to any of these other advisors, it’s entirely up to you. Doug Hoyes: Right. Excellent, well I think that’s a great way to end it. Ted, thanks for being here today. Doug Hoyes: That’s our show for today. Full show notes, including a transcript and links to everything Ted and I talked about today can be found at hoyes dot com, that’s h-o-y-e-s dot com. Everybody, enjoy Financial Literacy Month. Thanks for listening. Until next week, I’m Doug Hoyes and that was Debt Free in 30.